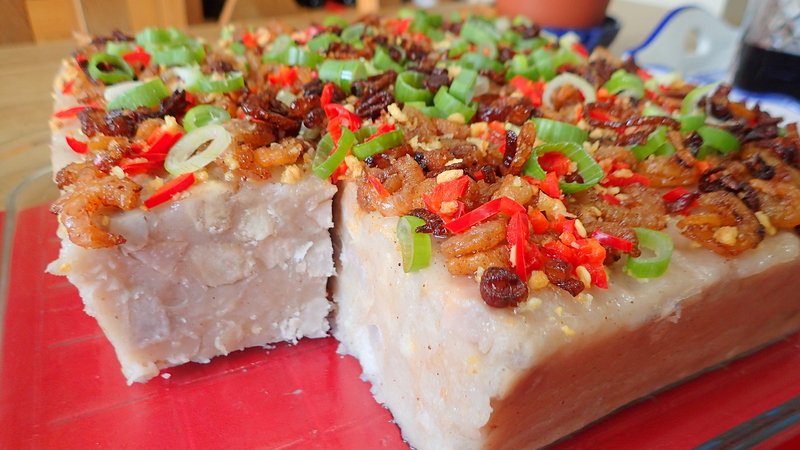 Steamed Yam Cake – Kuih Keladi 蒸芋头糕.- special. I had a week of holiday with my outlaws and I have had enough of western food. Really desperate for kuih. 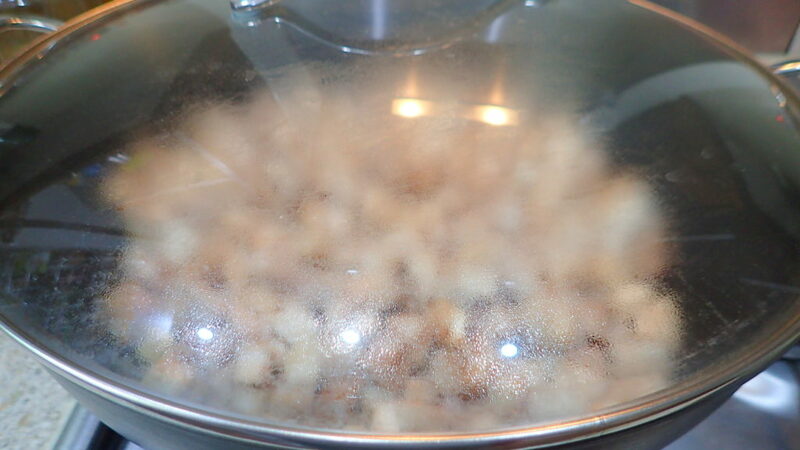 So today decided to steam a yam cake. 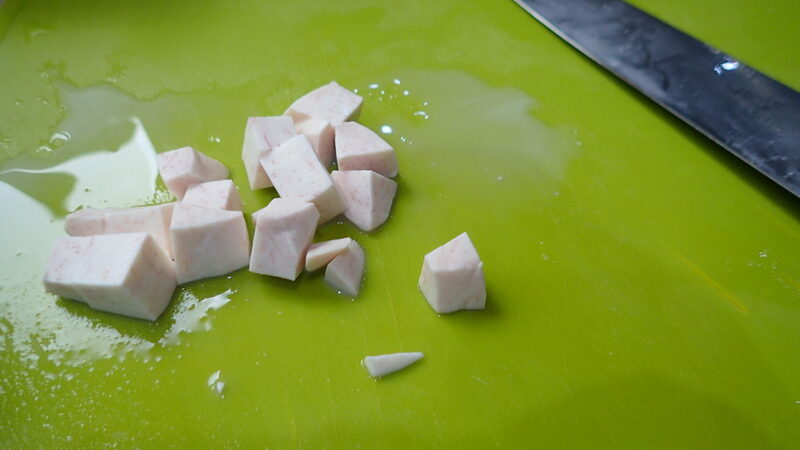 I bought a packet of yam a couple of weeks back and have been itching to use it. 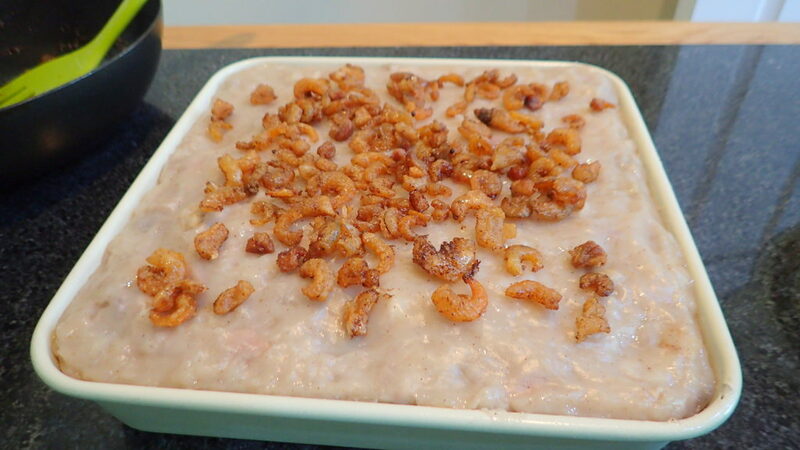 Over the years I have experimented with this recipe and I have got it just the way I like it. 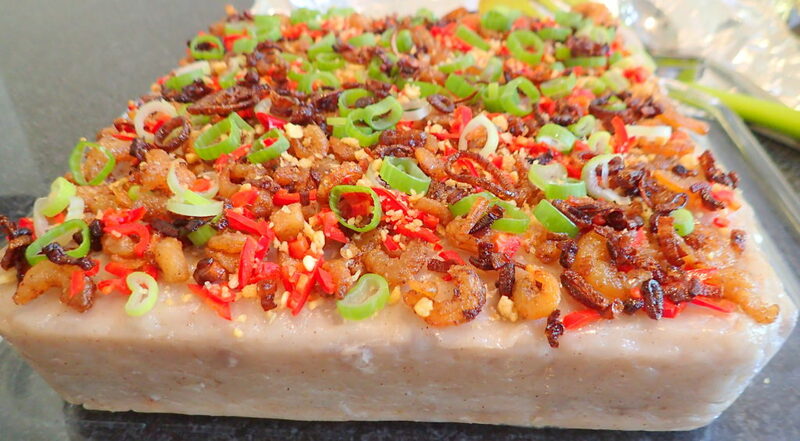 I do not like the ones with preserved radish, mushrooms, peanuts or even mince meat. 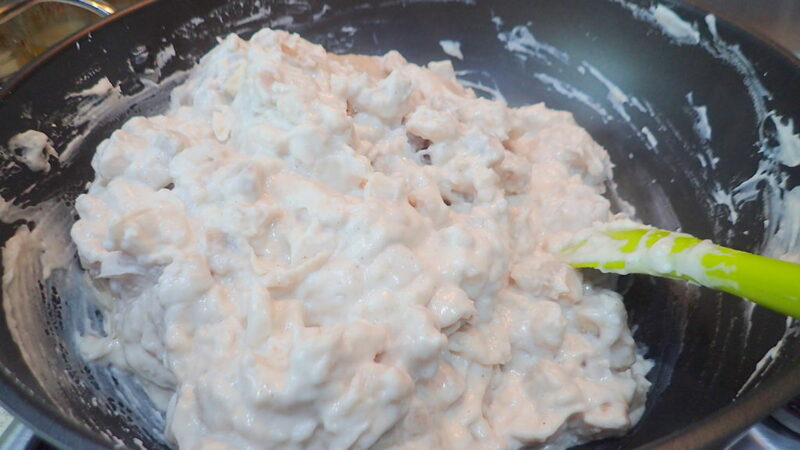 I just want plain yam as I love the taste of yam and I do not often have yam. I have adjusted my recipe to suit the frozen yam I buy. They come in a pack of 1kg. 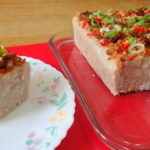 Steamed Yam Cake – Kuih Keladi 蒸芋头糕 is quite a forgiving dish and I will explain in the pics and recipe. 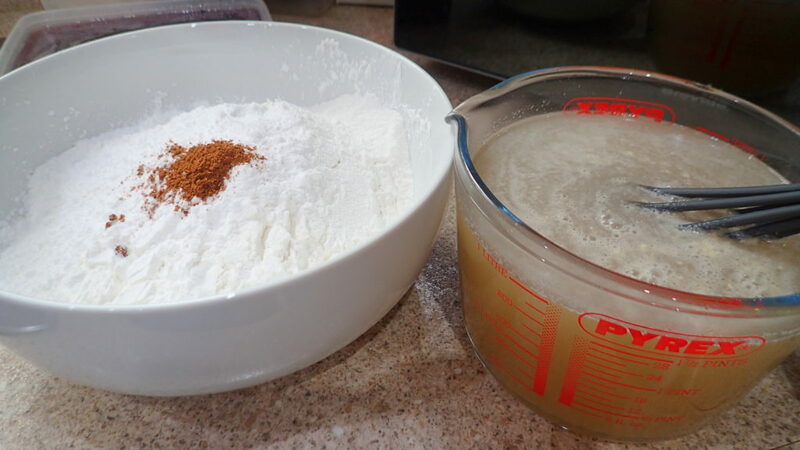 My recipe is not that hard to do actually and I will give you some tips that I have learned through trial and error. 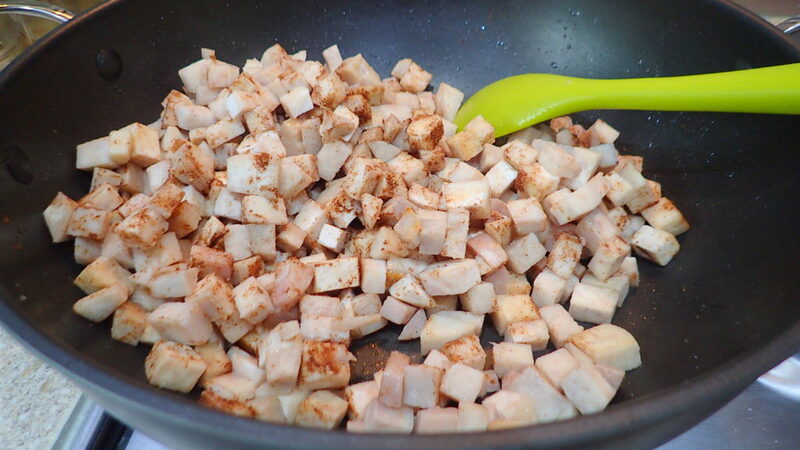 Cube 1kg of YAM, fry with your shallots oil. 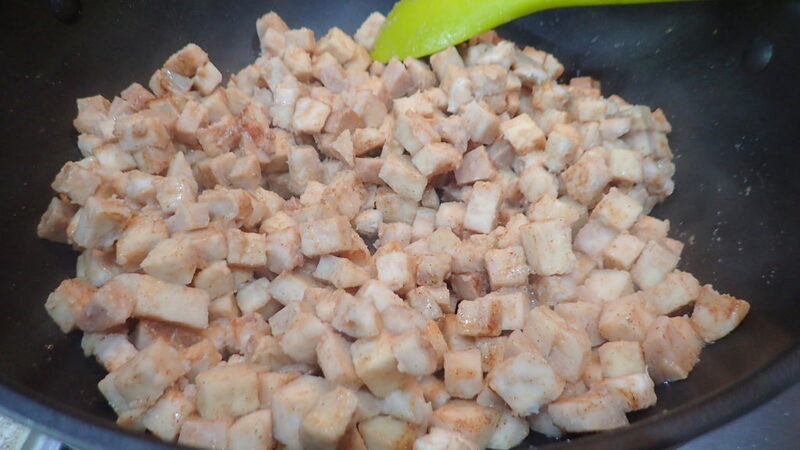 Add a tbsp of chicken powder and 5-spice + a pinch of pepper. 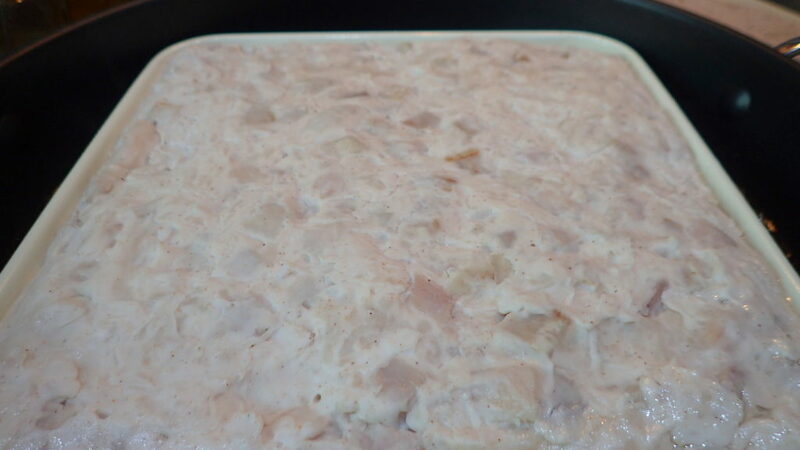 Fry until you can smell the good YAM smell then add in a cup of chicken stock. 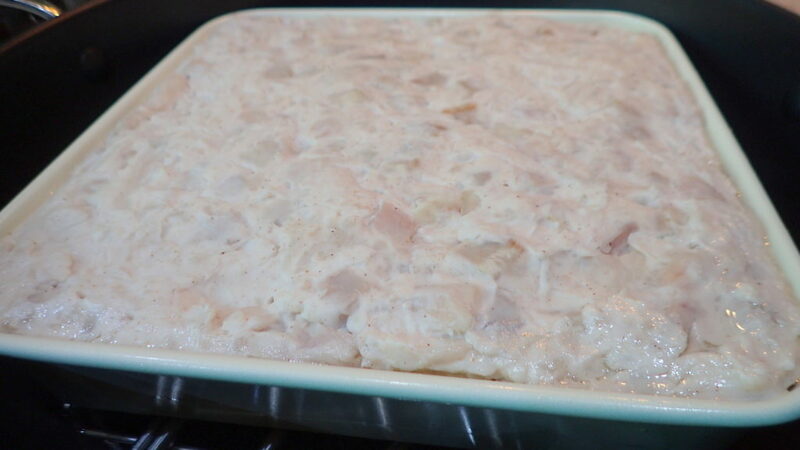 I used 400g of rice flour and 200g of tapioca flour mix with 1½ litres of light chicken stock. Add pinch of 5 spice. 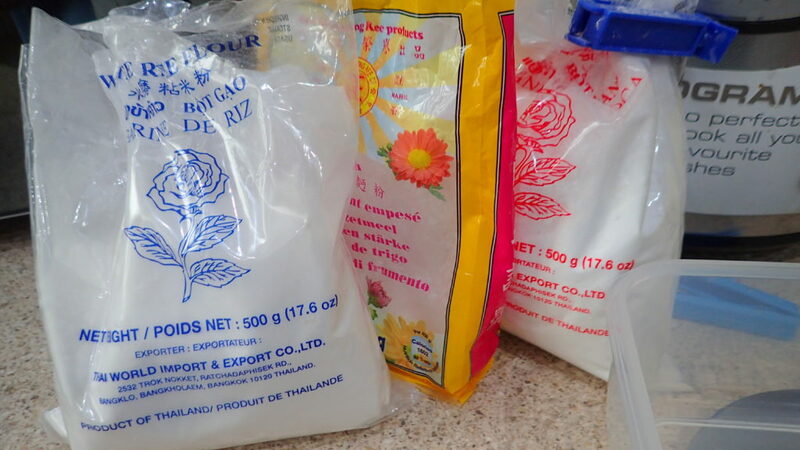 ( You can substitute 20g of tapioca flours for wheat starch if you want a more springy texture. 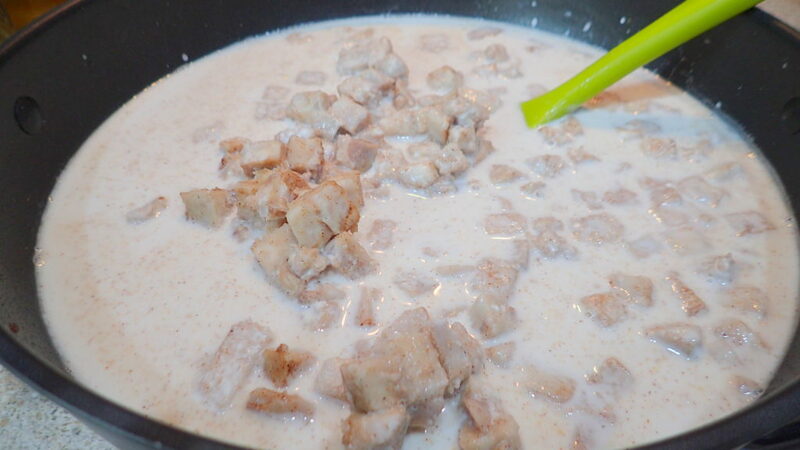 Add the batter mixture to the fried yam and turn heat off when they start to thickens. Put into pan oiled with shallots oil and steam for an hour. 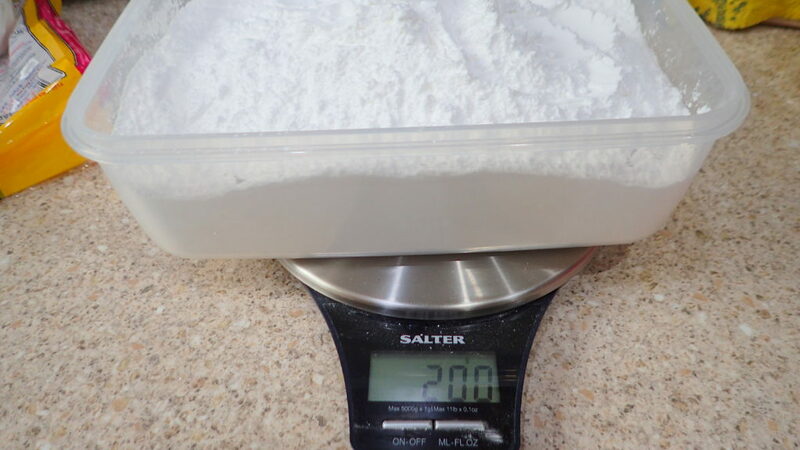 Read TIP on how to flatten it nicely. 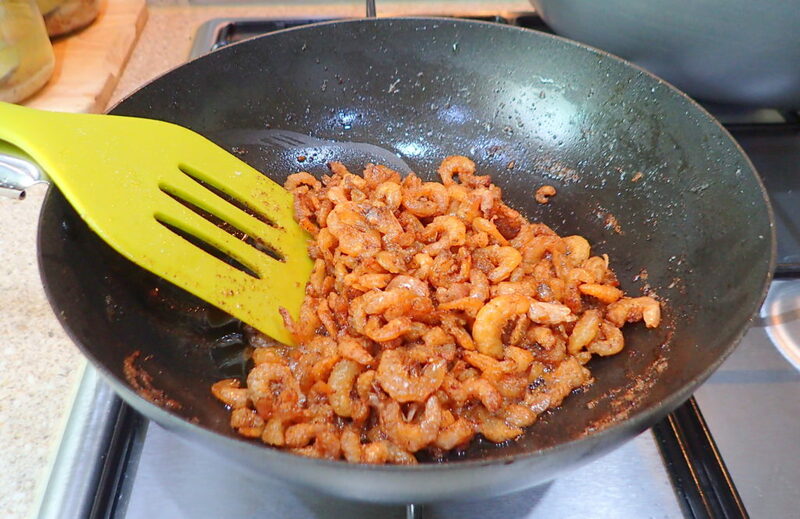 When done and still hot quickly pressed on top your crispy fried dried shrimps and shallots. Then add thinly shredded spring onions, mince chillies and other garnishing. 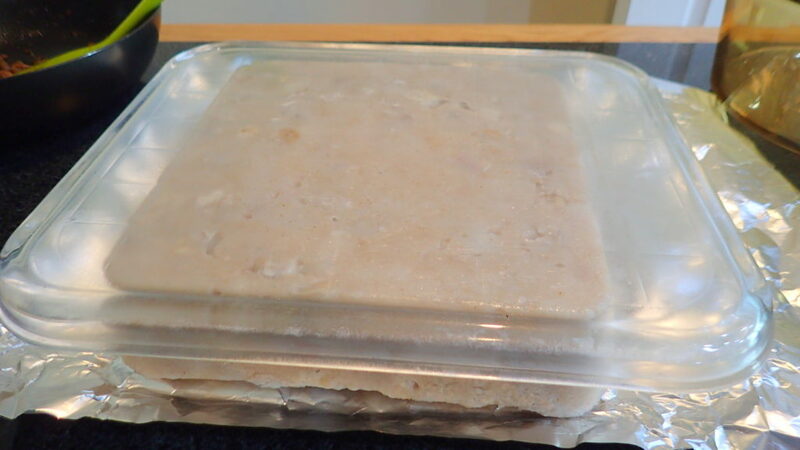 TIP – Use a piece of cling film to help you get a smoother surface. 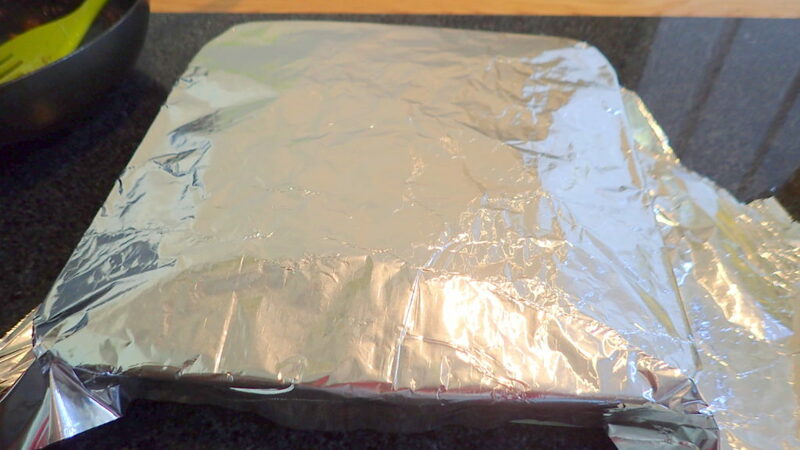 TIP – Use another chopping board and tin foil to help you flip out the yam cake. 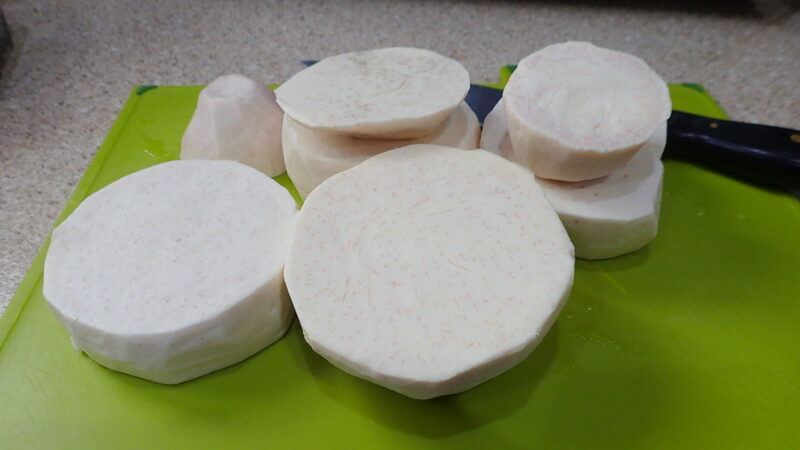 TIP – To me a good Yam cake must have chucks of yam so when you fry your yam make sure they are soft but not meshed TIP – To unmould the cake – Please refer to pics. 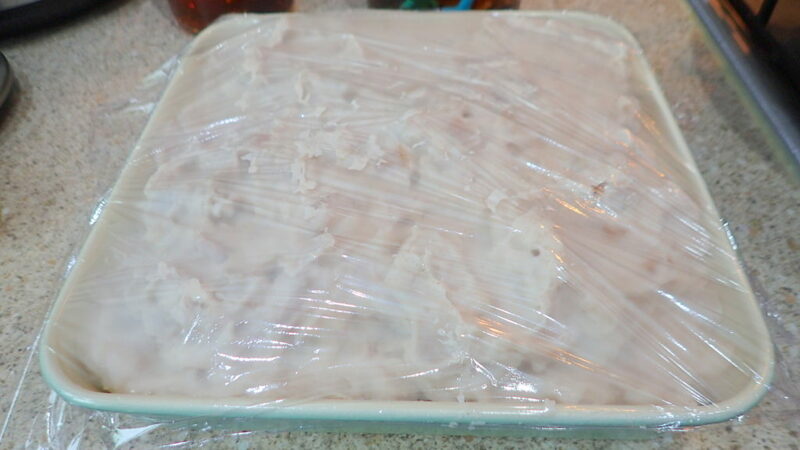 Use a piece of cling film to help you get a smoother surface. 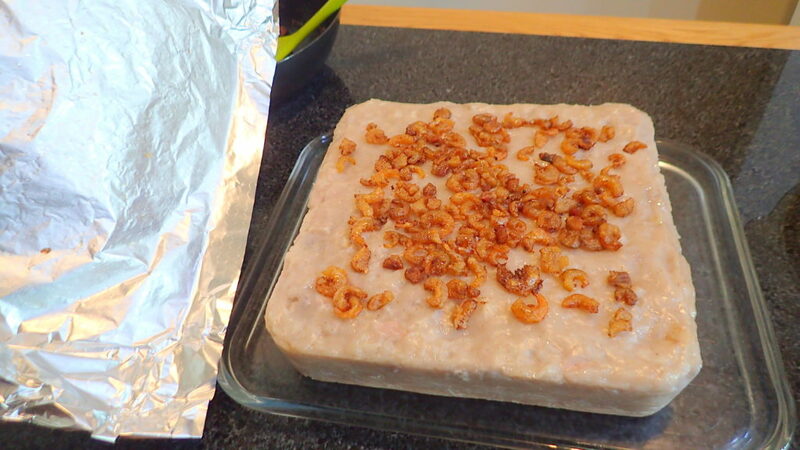 Use another chopping board and tin foil to help you flip out the yam cake.